Colombian and Peru called on Venezuela to allow the entry of humanitarian aid after an economic crisis spurred food shortages in the socialist-run country. 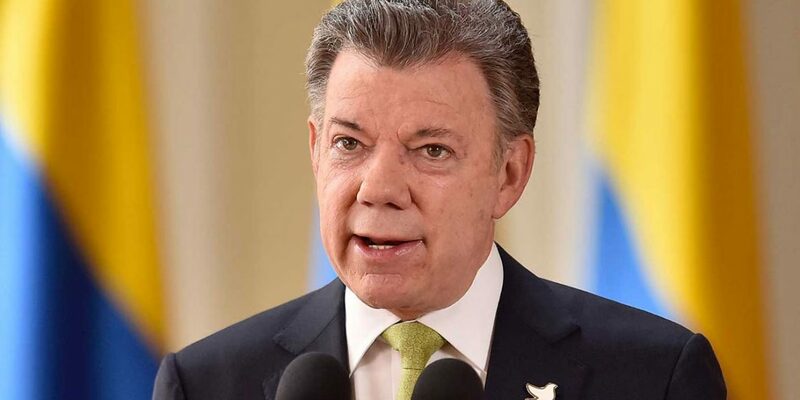 Colombia’s President Juan Manuel Santos made the call with Peruvian President Pedro Pablo Kuczynski in the coastal city of Cartagena on Tueday for a fourthsummit. The focus of their joint announcement was on their neighbors in Venezuela. “We discussed the issue of Venezuela, which is of great concern to us, not only the social aspect, the crisis in that country and the repercussions on the population, but also the lack of respect for and violation of all fundamental rights and the breach of democratic order,” said Santos. Both nations repeated their call for Venezuela to open a humanitarian channel. “We make a new call to allow at least one humanitarian channel, it is unacceptable that seeing the situation so critical that they do not allow it simply as a humanitarian measure,” said the Colombian president. Hundreds of thousands have fled Venezuela because of hyperinflation and shortages of food and medicine. The Inter-American Commission on Human Rights (CIDH) also insisted on Tuesday in Bogota that Venezuela open a humanitarian channel to help Venezuelans who struggle through the crisis. “The CIDH not only exhorts but also demands that the State of Venezuela accept the humanitarian aid offered because it is clear that, for whatever reasons, it cannot fulfill its duty and guarantee the protection of fundamental rights,” said Francisco Eguiguren, the commission’s rapporteur for Venezuela. The commission stated that “right to food and health” should be fundamental to Venezuela. The representative for the Venezuelan state, Larry Devoe, fired back that the crisis is the fault of the United States for imposing economic sanctions until a regime change occurs in Venezuela. “They don’t invent with Venezuela, it’s a practice that has been implemented to bring about political change in our country,” Devoe said referring to a historical precedent by the US to force regime change through sanctions. Colombia also reiterated the international community’s call for a new government in Venezuela. “We again call for a democratic transition. We will continue to insist until we see Venezuela once again with a democracy working for the welfare of its own population,” said Santos. Peru and Colombia will meet with regional leaders in Summit of the Americas Lima next month. Venezuela’s invitation was rescinded and Peru banned Venezuela’s President Nicholas Maduro and his government from entering the country. “We will have the opportunity to scream once again for democracy and respect for rights, to scream against coups d’ état and abuse of power,” said Peru’s President Pedro Kuczynski.